Crafting is one of the most relaxing past times around. But it’s essential you have the materials you need. That’s why it’s important to know where the closest and best stocked crafts store in your area is and what they’ve got—so you can keep on doing your crafting thing. Below, you’ll find ten of the best in Nevada. No matter your craft of choice, there’s something awesome for you. Nevada Fine Arts is the largest independent art and framing store in Reno, according to their website. Products include large format printing and digital art services, art classes, custom framing services, and a wide variety of craft supplies. They’ve been in business since 1969 and have the experience to help you with all your crafting needs. The Knitting Nest has been in Stateline, Nevada since 2009. She describes her store as “a peaceful haven of creativity, nestled at the top of Kingsbury Grade in a historic resort overlooking the deep blues and greens of Lake Tahoe.” Inspired? Good. Stop in for all your yarn needs today. Mill End Fabrics offers 15,000 square-feet stocked with fabric and fabric services, including scissors, needles, and more. They have two convenient locations for visitors to come to, including one in Reno and another in Carson City. Check their website for a virtual store of each of their locations. Rolling Rock Gallery has a bit of an eclectic vibe, almost overstuffed with hobby and crafts. They have baby products, beauty products, cards and paper products; clothing, accessories, games, science related, geology-related, and toys for all ages, among other items. Dig in. Ruben’s Woodcraft and Toys in Boulder City is a wonderful go-to spot for introductory wood crafting. They offer birthday parties and have toys for sale, but for craftspeople, the main draw will be the custom wood crafting. Whether you’re a new crafter or veteran, the people at Ruben’s are willing to help. Simply Quilts and Crafts offers quilting materials, classes, longarm quilting, and more. According to their website, “Simply Quilts offers professional longarm quilting, wide backing fabric, thread and batting to our customers,” both in-store and online. Check out their website to sign up for their newsletter and shop their online store. Desert Art Supplies has two locations in Nevada, including one in Henderson and another in Las Vegas. Services include custom framing and digital printing. They stock a wide variety of paints, carving materials, calligraphy supplies, easels, jewelry supplies, and much more. Check their website for an upcoming calendar of events. Virginia City Mercantile offers “all things nostalgic, hard to find and funny,” according to their website. They serve candy, signs, sodas, and music, among other things. Crafts lovers will find all kinds of cool items to incorporate into their work. 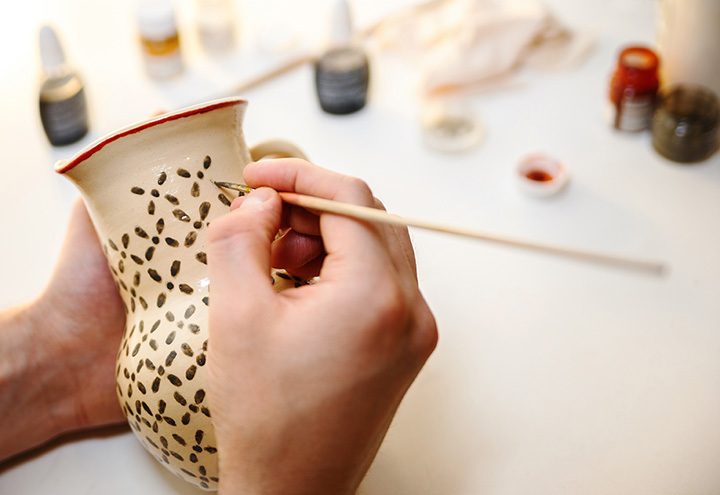 Corks ‘n Crafts in Las Vegas, Nevada offers frequent do-it-yourself crafting sessions. The event calendar includes events as far ranging as painting, mason jar crafts, and paper crafts. They even have kids clubs and private parties for anyone to get their craft on.